Prop Light Price, Technical, Dimensions and more. Prop Lights by Bertjan Pot for Moooi. Bertjan Pot was born in 1975 in Nieuwleusen, The Netherlands. He graduated from the Design Academy Eindhoven in 1988, and began his career using the moniker The Monkey Boys with fellow designer Daniel White. In 2003, Pot started designing under the name Studio Bertjan Pot, which he continues to use, working alongside Vladi Rapaport and Marjolein Fase. Based in Schiedam, the studio produces interior products marked by a highly experimental approach and a fascination with technique, texture, structure, pattern, and color. In addition to self-initiated pieces, Studio Bertjan Pot collaborates with companies and institutions such as Moooi, Montis, Established & Sons, Alturo Alvarez, Richard Lampert, Den Herder Production House, Museum Boijmans van Beuningen, and the AUDAX Textielmuseum Tilburg. 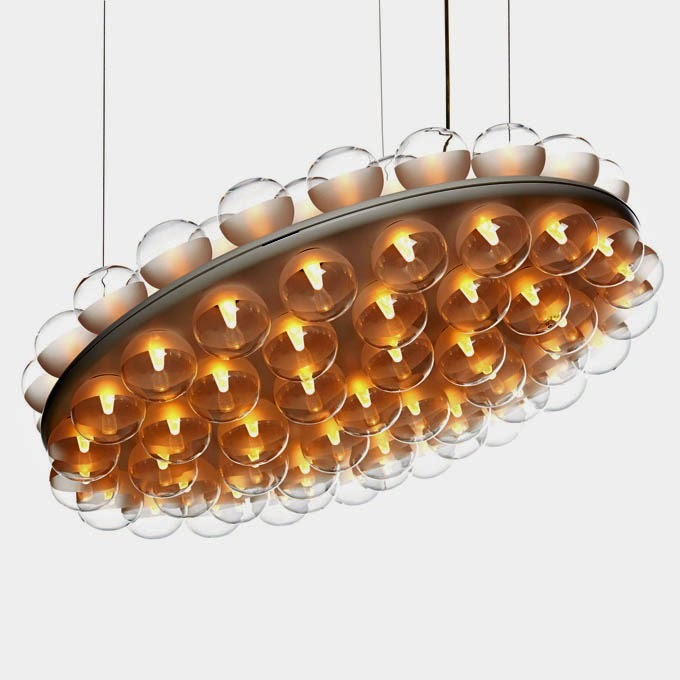 Our new Prop Light was designed by Bertjan Pot for Moooi. These futuristic white + glass chandelier looks like its levitating from the transparent electrical cords. Unquestionably the most versatile lamp ever, the straightforward yet ingenious Prop Light by Bertjan Pot represents the perfect lighting solution for literally any kind of interior. These futuristic Prop lighting fixtures are a great way to take any room in any space to the next level. Whether you prop it up against a wall, hang it from a ceiling or place it on a floor, Pop Light's bubbly form and pure spirit brighten up any kind of environment with a fresh, timeless elegance. Enjoy ethereal spheres of light in your home, at the office or in a public space.